This is a great opportunity to play baseball/softball, have fun and most of all, raise money for kids fighting cancer. 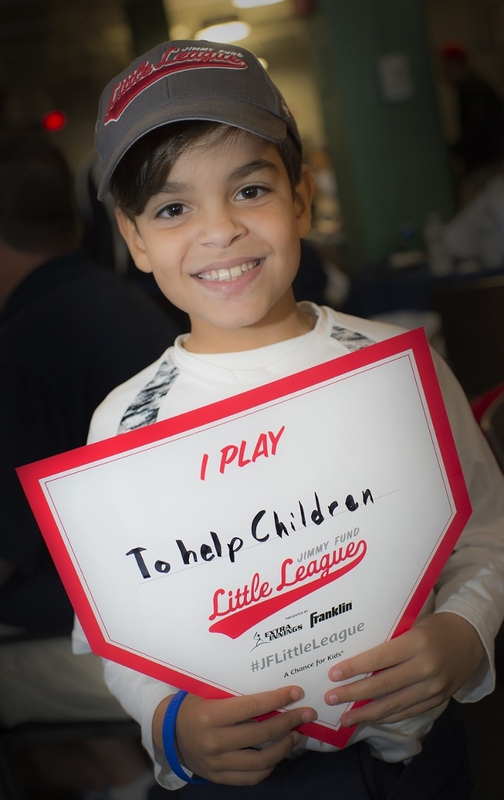 The District 13 Jimmy Fund Baseball & Softball Program will run from approximately early July through early August. This includes a single elimination playoff that all teams will participate in. The 8-9, 9-10 & 11-12 year old levels will generally play weekday nights throughout the season with the possible exception of playoffs. Please contact your local league for signup details. West will comprise of Assabet Valley (Maynrd & Stow), Weston, Lincoln-Sudbury, Wayland and Conrd-Carlisle. They will run a 8, 9-10 & 11-12 levels. Games to start on TBD. East will comprise of North Reading, Reading, Stoneham, Wakefield, Wilmington and Woburn. They will run a 8-9, 9-10 & 11-12 levels. The games to start weekend of July 7 & 8 with kickoff Jamboree in North Reading and remainder of the regular schedule will be weeknights. Anyone can make their donation ONLINE at www.jimmyfundlittleleague.org This is a great way to include more friends and family. ** Click on the "Support a team or player" link. You can search for a team. Make sure you know what your team name is (ex: District 13 Assabet Valley 9-10 Red).